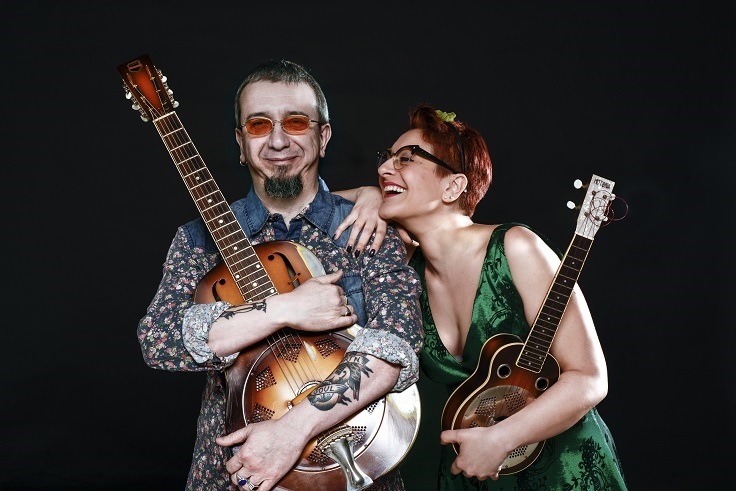 The penultimate artists at this year’s Burton Agnes Jazz and Blues Festival are the hugely talented Italian duo Veronica and Max with their old-time, blues and ragtime, roots music. Veronica Sbergia & Max De Bernardi passionately play country blues and ragtime, hokum, jug band and rural music from the ’20s and ’30s. They like to keep this precious musical heritage alive faithfully reproducing its original sound whilst playing it with a modern twist.